It’s hard to imagine that this woman, always so full of life, will not be here much longer. In such a short period of time Mum has gone from someone who is running around, with barely a spare moment left in her diary, to someone who now just sleeps. While my little family and I nicked off to Inverloch for a few days, Mum slipped into sleep. As I lay in bed on Sunday morning looking out the window to the bushland I wondered if this is what grief felt like, or was I just depressed. I was looking at beauty, lying in a comfortable bed in a house that Mum and Dad chose, and recreated, yet I couldn’t stop crying. My sister reassured me that Mum was peaceful, she just wasn’t getting up anymore. I was anxious about not being with her, even though I have been with her so much. Instead of watching the boys while they enjoyed the waves, I walked into the wind and cried. My husband called it and we packed the car and came home. That night my siblings and I sat around in her room with her. It was nice to just have us together for a moment. 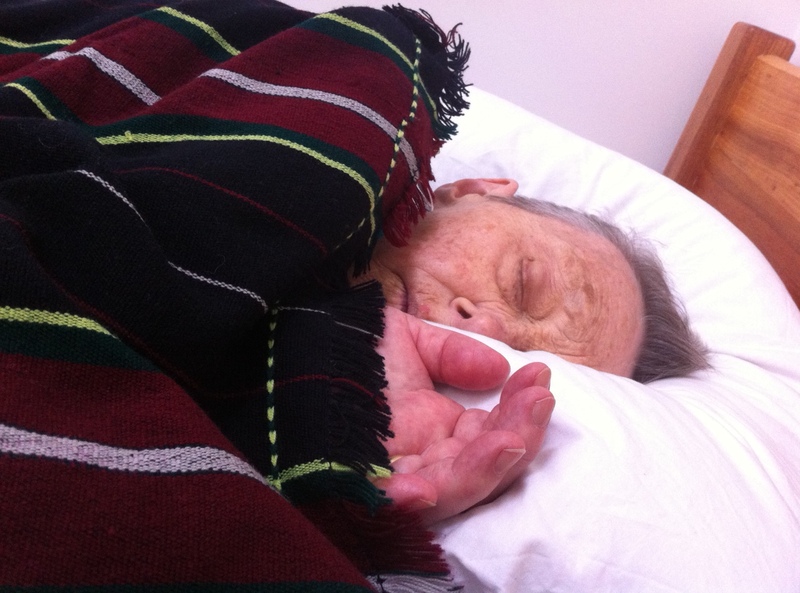 Mum slept while we talked like we always have: a bit of a joke, a laugh, and the occasional caring word. Mum smiled, maybe giggled inside, and occasionally opened one eye. We all knew what she was thinking. It’s what she would always say: I love seeing you all together, enjoying each other. It’s all a mother ever wants. Mum sleeps all the time now. She still rouses – just – when someone kisses her or talk to her. If she speaks, the word or words make sense still. When I kissed her this evening after being out in the cold her eyes blinked open and she said ‘Cold’. But mostly she just sleeps now. Her pain is now under control (again) and she is very peaceful, and comfortable. We are fortunate that we’ve been able to allow her to stay at home. This is what she wanted, and this is where she’ll stay until she dies. My siblings, partners and I have shared the care for her, and we would have it no other way. We all have bags under our eyes, and the rims of our eyes are raw from crying. We sleep – sometimes. We don’t expect her to last anymore than a few days now, so the rest of our lives don’t seem to matter quite as much at the moment. There will be a time for the rest. We are all very sad, but at the same time we are able to let her go. She doesn’t fear death, and has peace in the knowledge that she knows where she is going. It’s this that helps me to be able to cope with letting her go. 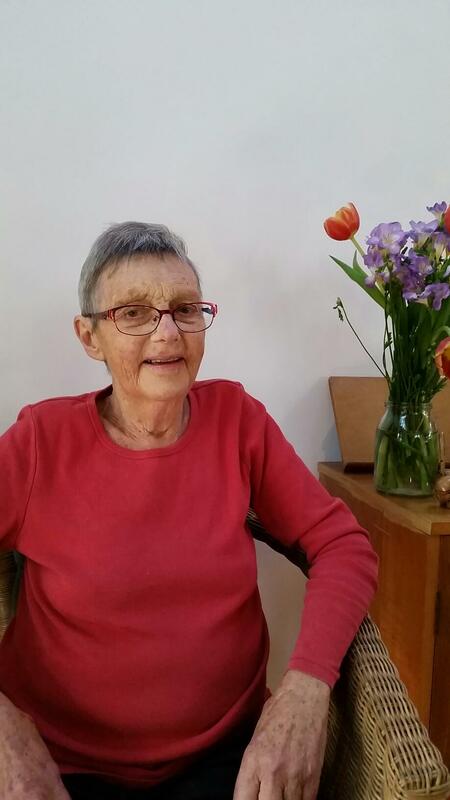 This is the seventh post in a series about my mother’s journey with terminal cancer. She was very interested in having it documented. Only two weekends ago she was cross with me. ‘You forgot to take my picture on Friday,’ she said. Her hope had been that people could learn something from this about the process of dying. I constantly wonder if I am doing this justice. 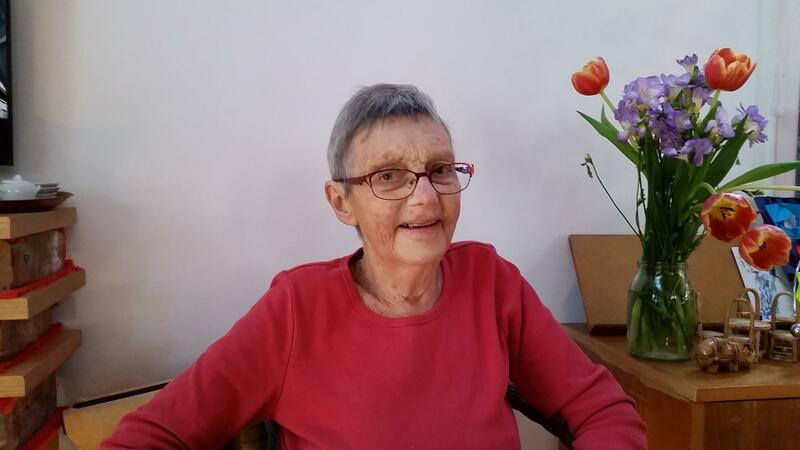 A number of times in the last few days people have said to me, ‘Your mum does death well,’ which feels like an odd thing to say, but it’s true. She does. She planned it all out, let others take control of things that she has no care to deal with, and has allowed herself to deteriorate without a fight. I think that the key is that she knows she is going to meet her maker. There is a joy in that for her and it is reassuring about being around someone with much faith. That’s very sad, Meg. Grief is never easy to deal with. I lost my mum when she was 47 and I think about her every day. I don’t think I’ll ever stop thinking about mum or dad either. Thank you for your honesty Meg, that’s how your Mum related also. Grief is sad. I wish you peace as well now. That was a beautiful piece, Meg. I really do hope that she gets to stay at home. Hospitals don’t do dying very well. You are doing it justice. Oh so much.